was a Dutch post-Impressionist Master whose innovative artwork powerfully influenced modern Expressionism, Fauvism, and early abstraction. Astoundingly prolific, Van Gogh produced all of his work during a 10-year period, at one point, creating 150 paintings and drawings within one year. 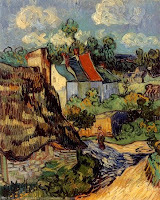 Painting outdoors, Van Gogh uniquely captured the nighttime nuances of light and shadow, and was also renowned for his paintings of sunflowers and irises. Tormented by mental illness for most of his life, Van Gogh created many of his masterpieces while he was institutionalized. Although Van Gogh only sold one painting during his lifetime, he is now regarded as one of the most profoundly influential artists of the 19th century.